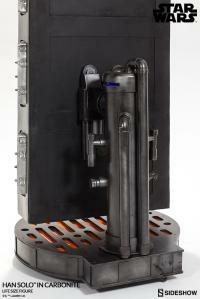 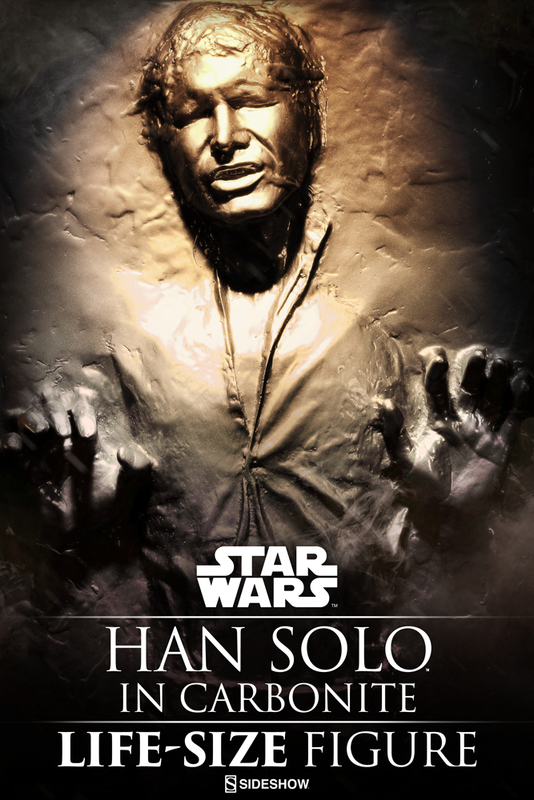 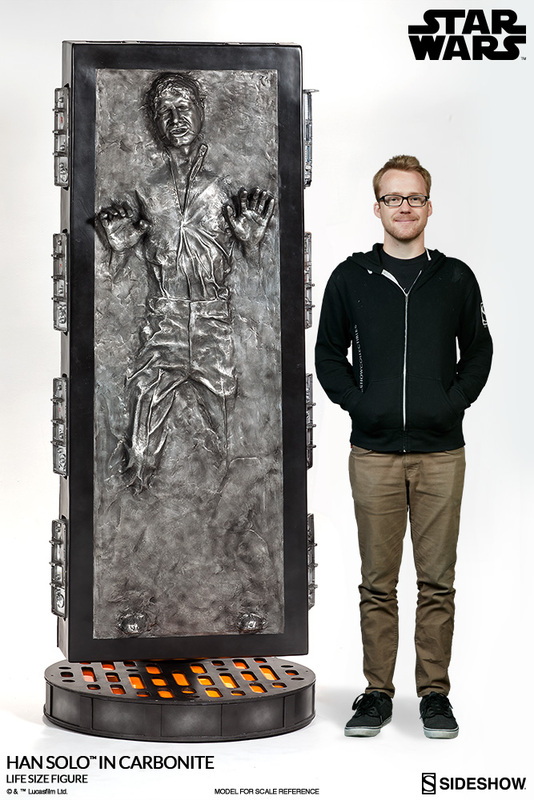 Bring home a piece of the Star Wars film legacy with the Sideshow Han Solo in Carbonite Life-Size Figure. 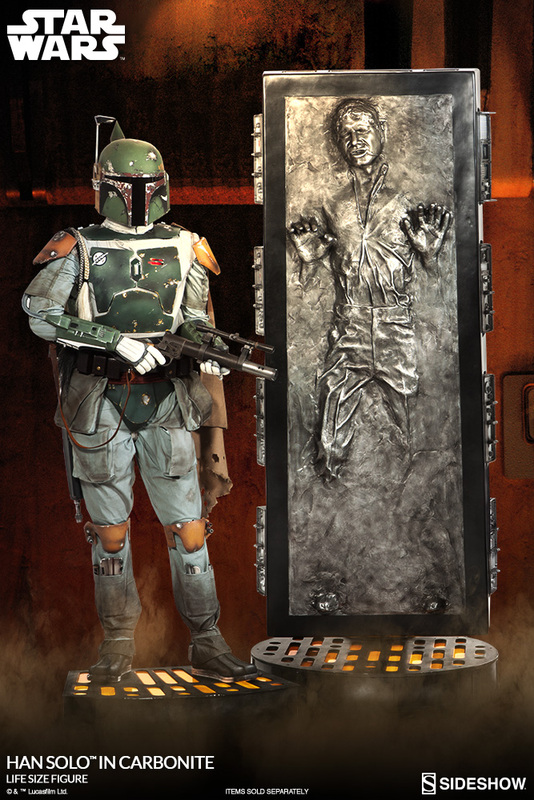 This magnificent seven-and-a-half foot tall replica captures every detail of the frozen smuggler with stunning realism, just moments after his affectionate parting words, "I know," in The Empire Strikes Back. 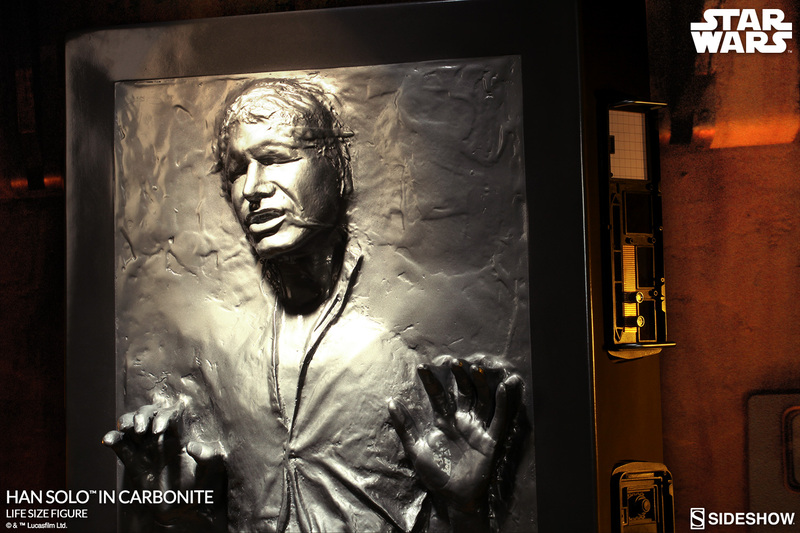 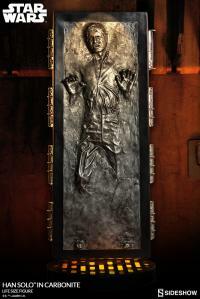 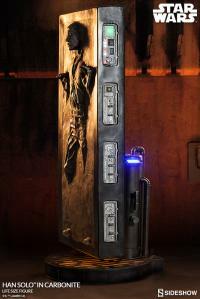 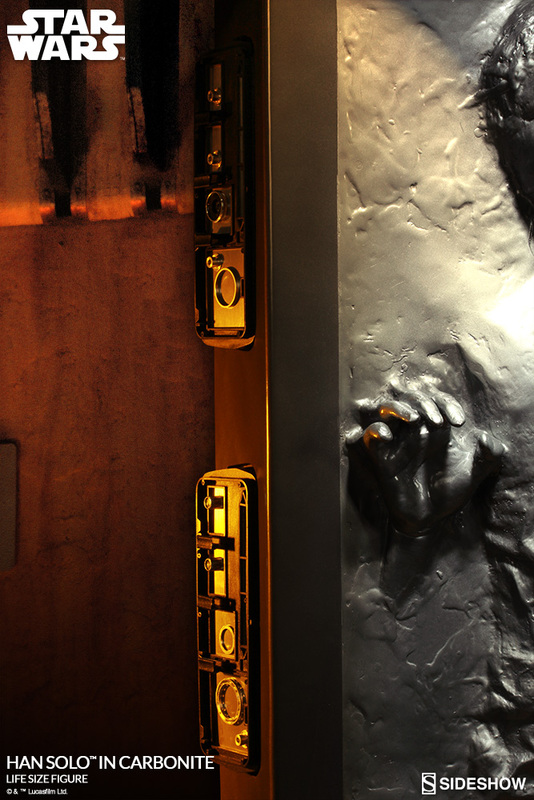 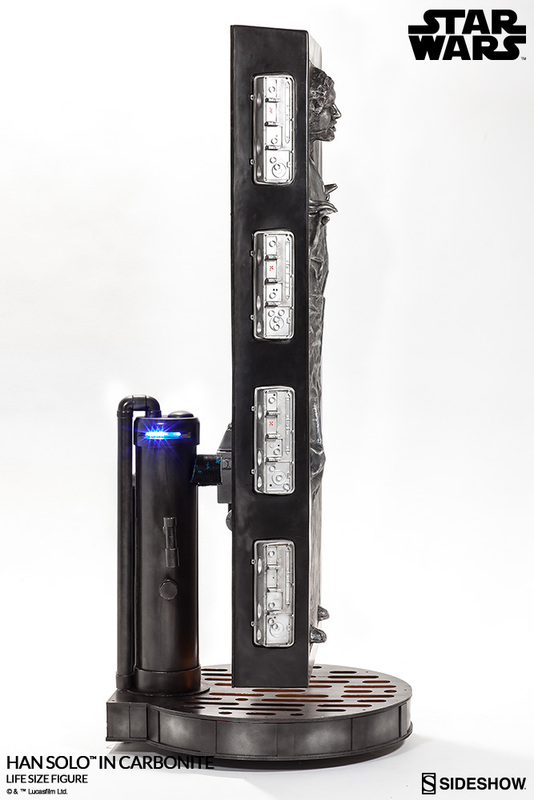 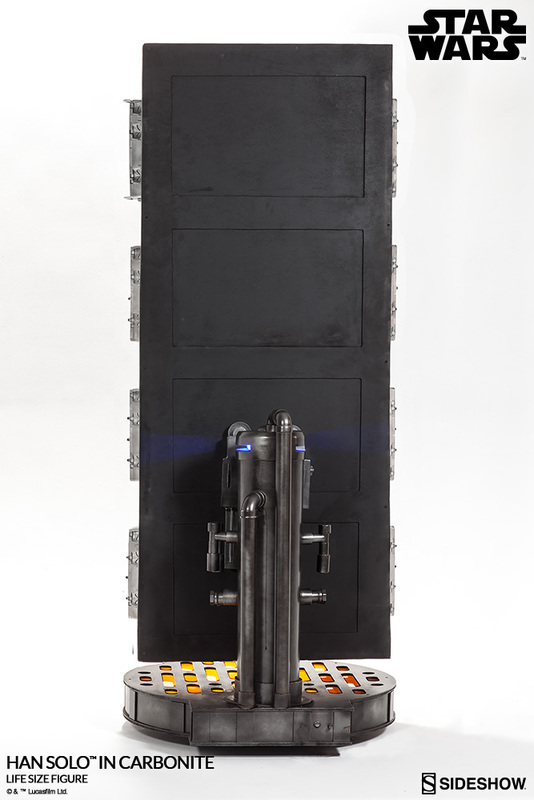 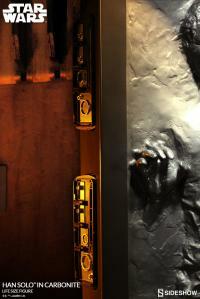 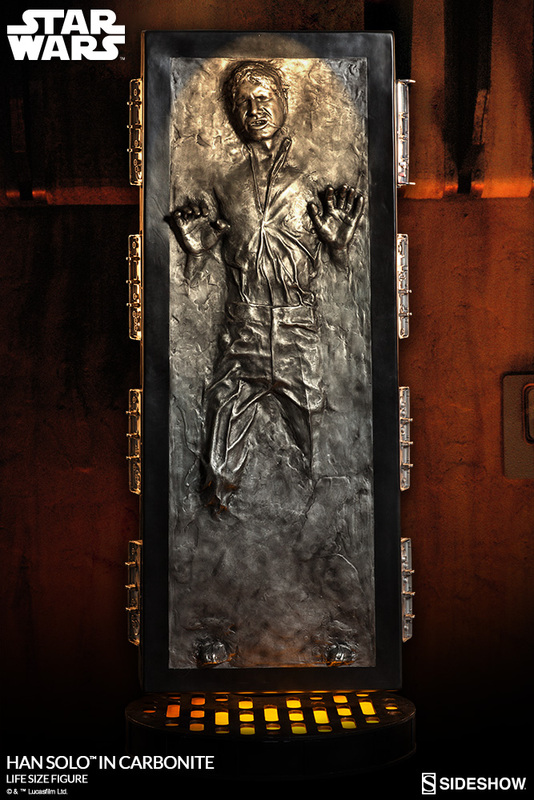 Harrison Ford's likeness expertly recreated in fiberglass and high-quality materials, film-accurate light effects in the base, side panels, and rear power canisters provide added authenticity to Solo's carbonite prison. 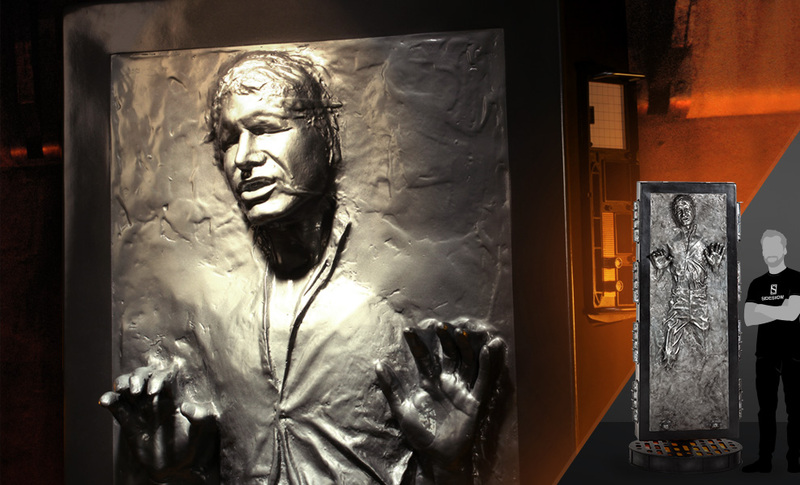 Jabba's most sought-after trophy can now belong to you, as a truly unique centerpiece in any home theater, mancave or Star Wars collectible display. Comes with full-color detailed instructions, some assembly is required. 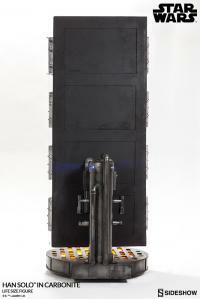 Pay as little as $749.89/mo.